Hello everyone, Sylvia here today with a "Santa's Magic Key" tag tutorial. I have been busy with my Christmas makes and have been making things for the younger children. I know some children are concerned that Father Christmas will not be able to get into their homes because they have no chimney, this tag solves the problem for them! There are lots of versions of this type of tag on the internet and I wanted to create my own. I used thick 580gsm cardas the base and the 300gsm double sided pearlescent card for the outside of the tag and the key. This made a very thick tag which should keep for years. I cut out the tag three times, once from the white card and twice from the double sided pearlescent. I used a multi media tag die to cut through the thick card as a substantial cutting die is needed, Sizziz original dies would work well too. The muti media die cut and embossed the tag pieces giving some texture to the tag. I used the double sided card but as the die is symmetrical you can use a single sided card. If you do not have a heavyweight die use more layers of card to get a firm thick tag. The key die was cut out three time too, one white and two gold. I then assembled the tag and key pieces by layering them together with the thick white card in the center. I used a good quality strong glue so the layers bonded well, I used clips around the edge to keep it together until it was dry. 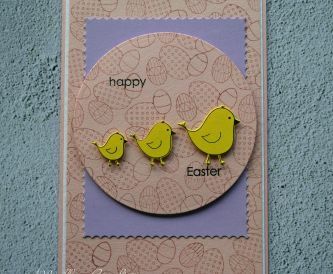 Once the glue has dried the tag is ready to decorate with embellishments and text. To get the wording on my Santa tag I printed the verse onto the red prearlescent card before cutting out the tag. I stamped the sleigh stamp above the Santa's key text once the tag was assembled. The key was attached to the tag with a ribbon and sleigh bell. The foliage embellishments and number 25 on the decorated tag were coloured with distress inks before adding and the key was attached to the tag with cord and a sleigh bell. I love making things for the younger children at Christmas, do you make this type of tag or letter to Santa for the children? We would love to see what you make so do let us see on Facebook or instagram, don't forget to hashtag or tag us in your posts.